Britain’s Got Talent 2017: Harry Gardner audition reduces the judges to tears! Harry Gardner reduced the Britain’s Got Talent judges to tears on Britain’s Got Talent this evening. 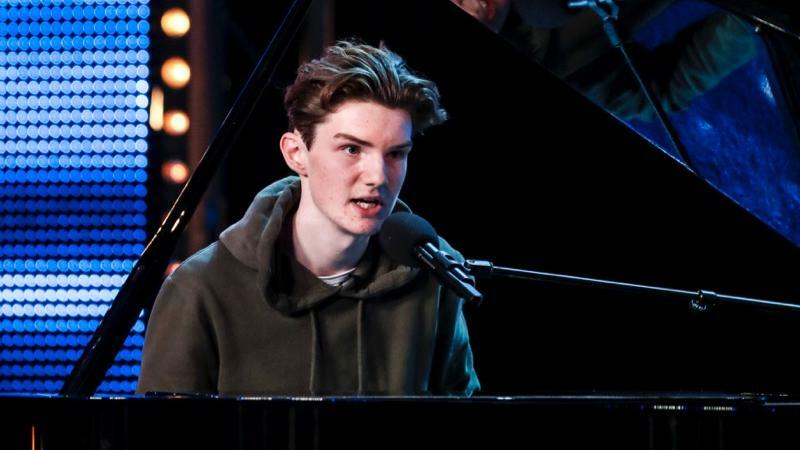 Britain’s Got Talent contestant Harry Gardner performed a song he wrote for his grandmother on tonight’s episode. Harry, 16, is a student and singer from Essex. Harry has been singing, writing songs and playing the piano since he was eight years old. Harry performed his original song “Not Alone”, which he wrote after his grandmother was diagnosed with Alzheimer’s. Harry performed his original song two weeks before he will have to perform it again at his grandmothers funeral. Harry said before his audition: “The biggest audience I’ve probably ever performed to as a school assembly so it’s a big step up to be here today, it’s quite scary. Following Harry’s beautiful and emotional original song, a tearful Amanda Holden said: “Harry, that really moved me. Harry received four yeses from the judges. In a sad twist Harry revealed in a sad post on Facebook, that his nan passed away earlier this week – just days before his audition was due to air.